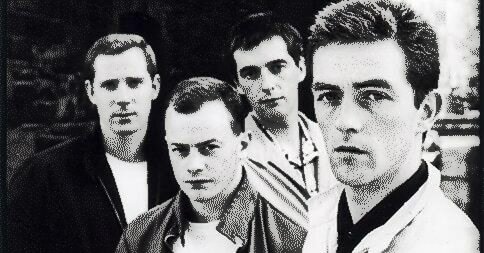 I'm a little under the weather so today's Song of the Day is more about the music… The Blades released seven strong singles and one solid LP between 1980-1986. In their hometown Dublin they were all the rage, and they played to packed clubs throughout Great Britain and Europe. The band's frontman and main song writer, Paul Cleary, was just the kind of “character” to lead a band into stardom. But living in the shadow of a giant isn't easy — even if that giant has yet to begin casting it's shadow. U2 went on to become huge and The Blades… well, The Blades quietly disappeared into obscurity. Today's Happy Medium Song of the Day is a toast to the spirit of those bands who struggle for notoriety and fall short — despite the noteworthiness of their music and the sincerity of their endeavors. “Ghost of a Chance” was the band's second single released in 1981.